"Over the three decades I’ve been seriously chasing fish with a fly rod, I’ve not found a more versatile vest than this. For 2009 it’s been revised, and it's better than ever. 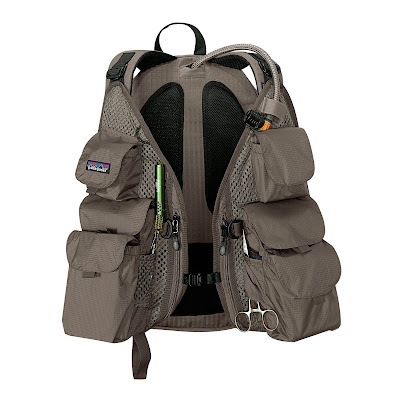 It can be either a very light and perfectly functional vest, or a vest with a comfortable pack on your back for carrying rain gear, camera, lunch, water, etc…or it's just a very good backpack for wherever you may wander. 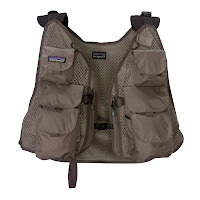 For the money, considering the cost of a good vest these days, it’s also a great value at $180.00 (US Dollars)"
Visit the Patagonia web site to learn more about the Pack Vest. Patagonia should really consider selling the vest separately. I own the Storm Front and would love to have a vest to pop into it, however i can't justify spending the extra money for a backpack i will never use. I mean, I HAVE THE STORM FRONT...best bag ever! Thanks for the feedback and Stormfront Pack appreciation Eric. Team Fish agrees with you. We'd like to offer the vest portion of the Pack Vest as a stand-alone product (same goes for the front pack of the Double Haul). Consider these works in progress. Yeah, I have the old, early version (in green). 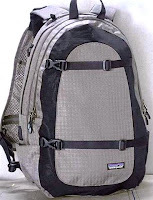 I wound up ditching the backpack it came with, sewing the buckles onto my camelback, and having a versitle pack like this one with camelback, etc. Best set up ever, so i like this new design that patagonia has out. Sounds like an interesting mash up Sam. Send me a picture of your prototype if time permits. Glad you like the new version of the Pack Vest. Just a follow up to the minimalist vest. I've removed the pockets from the vertical vest and now just wear the mesh part. It keeps all I need for the small stream fishing I do. the only problen is my forceps poke through the mesh. ps i do not know how to include a photo of the mashed vest!! Thanks for the follow up Graham. I'm glad you found a custom solution to your vest needs. I'm sure you'll figure out a good system for your forceps too. Regarding pix, you can send me them via my profile email.